We think learning to drive should be fun and stress free. We've seen time and time again nerves and fear holding back a students progress. Creating a learning environment like this starts with us and our instructors. To that end we never stop training our instructors to keep them on top of their game. Driving instruction is about listening and responding to your needs. In the end that is what being a driving instructor is all about. You, our student, and your safe development into a competent driver. 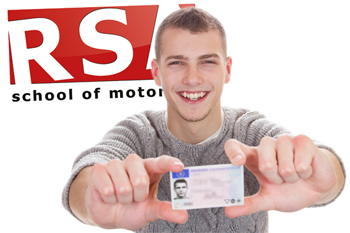 When it comes to value no other driving school in Rathangan can offer what we do to our pupils. With our free home study support material you'll be prepared for every lesson and develop faster as a driver than with any other driving school. Lessons come and go fast and it is easy to forget what you have learned. Our extra lesson material means you can follow up on what was covered before the next lesson ensuring you don't waste time and money going over the same things. First you must master the rules of the road, the road signs and skills involved to control a car safely. And then there is learning to pass the driving test. Being allowed to drive alone on Rathangan roads is a privilege you must earn and the driving test is your chance to do it. And naturally, as with any test, if you understand the conditions and what to expect you can pass easily. 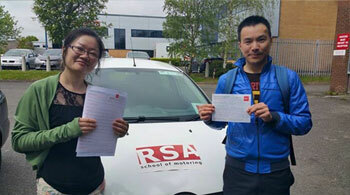 With RSA School of Motoring your Rathangan driver training doesn't just start and finish in the car. To help you develop fast and help you remember all the driving techniques our instructors teach, we have engineered our own idependent home study driver training course delivered straight to your inbox to guide you through your EDT to the test. If you're looking for great value... you just found it. If you have a driving test booked and need a modern, easy to drive car to conduct it in then we can assist. Hiring a professional driving school car for the test shows the driving tester that you are taking the test seriously. Investing in a pretest and car hire package for your test is the best move you can make. We all remember the fun engaging teacher in school that made learning fun and easy. And we can recall the lousy teachers that had no business teaching anyone. Not all teachers are made equal and that is no less true with driving instructors. It's not as simple as searching 'Driving Lessons Rathangan' and picking the first driving school you find. Who can you trust to offer you that fun and engaging experience? 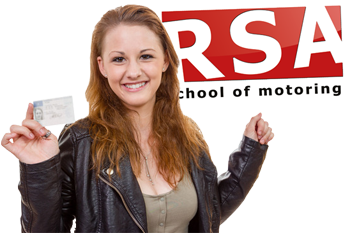 We have helped countless learners pass the test so before you carry on your search we encourage you to consider RSA School of Motoring for your driver training in Rathangan. Read on to find out why. You guessed it! We have female driving instructors all over Rathangan. Don’t believe the myth about female drivers. Our female driving instructors are some of the best instructors in not just Rathangan but Ireland. Book your lessons now. In busy times like these we all want convenience and flexibility and this is no less true with taking driving lessons. That is why our driving instructors will pick you up and drop you off from your chosen Rathangan locations*, be it work, home or college. Can I learn in an Automatic Car with your Rathangan driving school? 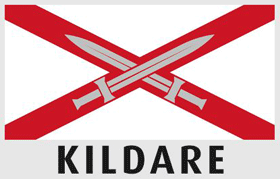 If you want to learn to driving an automatic in Kildare then you're not alone and we can help. Book your automatic driving lessons with us today. Teaching you to drive would be our absolute pleasure. Go on... give us a call now and let's get you booked in for your Rathangan driving lessons today. We won’t let you down.